Recycling electronics at ORS is now FREE! (Formerly $15). in 2014 ORS became a member of the state E-cycle program and can accept TVs, CPUs, and computer monitors at no charge, though donations are accepted. 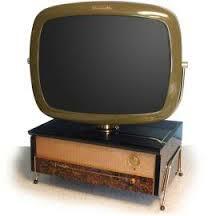 Televisions and computers contain a host of toxic substances such as lead, cadmium, mercury, and arsenic. These toxic substances can contaminate groundwater when landfilled. What can you do? Separate them from your waste stream. Click here to learn more about our State’s E-Waste Program.